If you’re interested in becoming a member of CFGN, check out the How to Join page and read through the Member Intro Pack to find out more. Scroll down for an A-Z of our members & find out where your nearest community food project is. A lot of these projects will be selling fresh local veg is being sold and offering volunteering opportunities. Audacious Veg is a social enterprise creating training & employment opportunities for local young adults through urban agriculture. Our socially responsible business model addresses the need for skills and employment in northeast London, while meeting a growing demand for local food. Young adult trainees at Audacious Veg grow delicious and sustainably produced food for London restaurants, while earning London Living Wage and accessing skills that help them find employment after the traineeship. We also offer volunteer placements for recently arrived refugees, creating opportunities to build community, practice english and access training and support services. Book a training here or sign up to the volunteer mailing list here! An acre of space which from 2009 was transformed into a community style productive garden. The Garden provides veg, herbs and fruit for the cafe. The Garden contains annual veg beds, fruit trees (including kiwis and figs, as well as more traditional crops), a highly productive composting system, sustainable bee colonies and a herb garden. It’s also a space for staff, climbers and the local community to enjoy and learn from through events, workshops and volunteer sessions. Community Centred Knowledge is an emerging social and cultural movement which gives voice to the community, family and individual through Ubuntu consciousness. We are an Earth Steward community. Community Centred Knowledge is both whole-earth and intergenerational in its approach. It is aligned to the indigenous mind and recognises the value of the feminine perspective in progressive and Earth centred thought. exchange and celebrate knowledge. This knowledge is informed and filtered through and by community experience and so is iterative and adaptive in nature and relevant at different scales of community organisation. 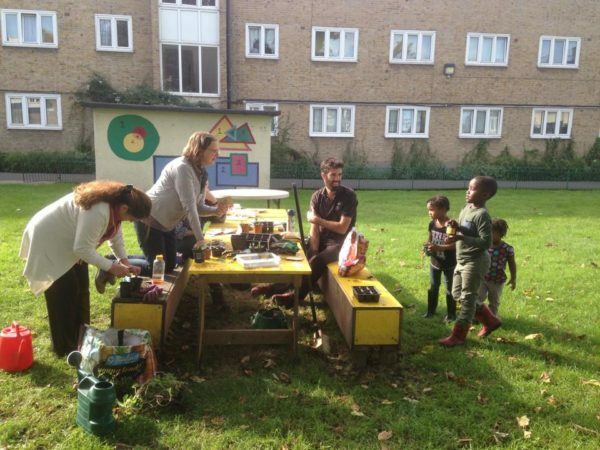 Cordwainers Grow is a garden-based community interest company providing educational and environmental projects to promote health, well-being and community cohesion in the borough of Hackney. We run workshops and courses teaching people about plants and natural crafts and work in partnership with local organisations to provide creative opportunities for people to engage with nature and each other. 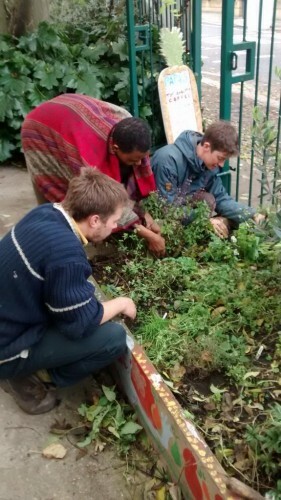 We run social enterprise Hackney Herbal which uses profits from locally grown herbal teas to fund regular wellbeing focused community activities. We are also working with local schools and youth organisations on an ongoing Anti-Junk Food Campaign, equipping young people to understand food advertising so that they can combat unhealthy for choices. A community garden in Bethnal Green where residents from the local estates grow food together. 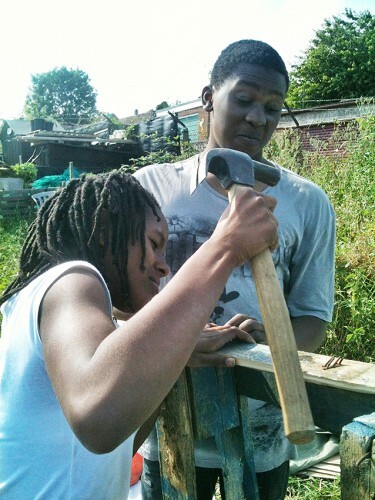 Cultivate London is an innovative urban farm and social enterprise based across multiple derelict sites in West London. We train unemployed young people in landscaping and horticulture, and work to engage our community in food growing. We aim to have a long term impact on the lives of young people and change the way Londoners think about their fresh produce and where it comes from. 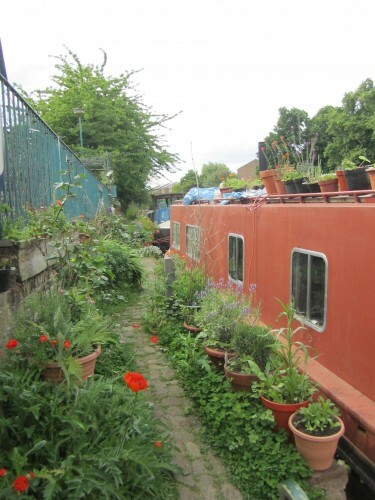 When the boat dwellers of the E2 Collective got planning permission for permanent residential moorings opposite Victoria Park, one of the planning conditions was to build a community garden. The garden, which includes food growing areas and wild flowers, as well as the ancient wharf wall, was created behind the Canal Club community centre on Waterloo Gardens E2, on an area with a history of neglect and abuse. This was all built at the beginning of 2011 and now features plants for sale, a cob stove and a beautiful and relaxed environment in a beautiful canalside location. Forty Hall Farm is an organic farm run by Capel Manor College, a further education college specialising in learning about the environment. Forty Hall is a mixed farm with a variety of animals, including many rare breeds. 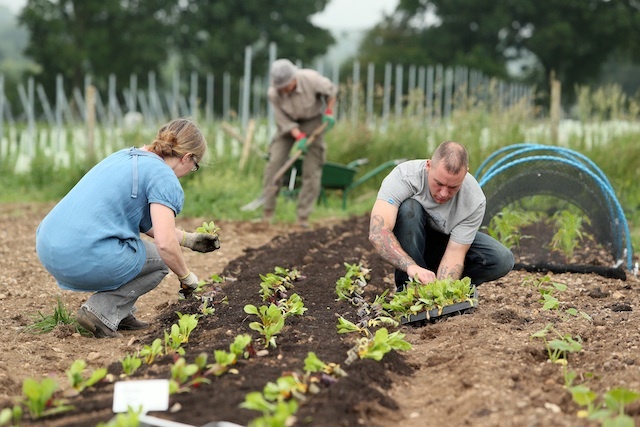 It is home to London’s only organic commercial vineyard, the Forty Hall Community Vineyard, as well as a thriving community orchard, a forest garden and market garden which offers a diverse and delicious veg box scheme. 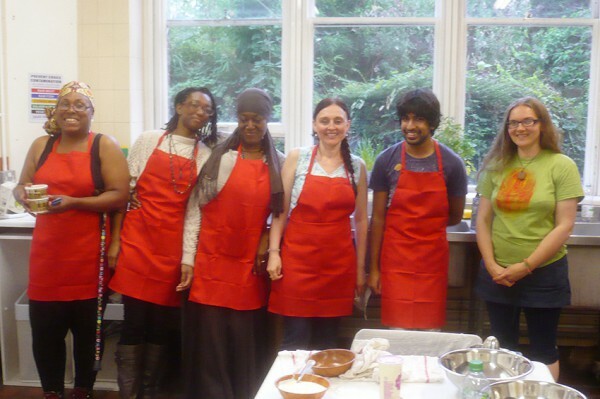 Granville Community Kitchen is a community led project in partnership with various local organisations. 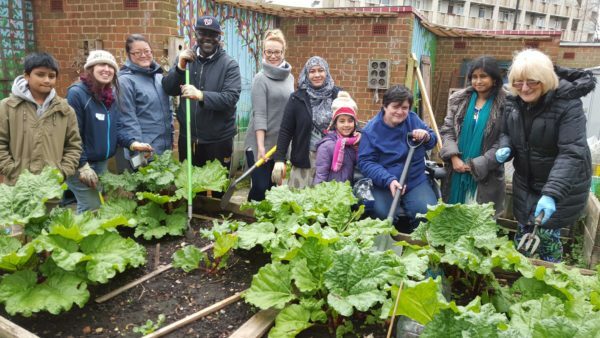 London Community Neighbourhood Cooperative is leading this initiative based on the belief that everyone has the right to fresh, good quality, healthy food that does not cost the earth. 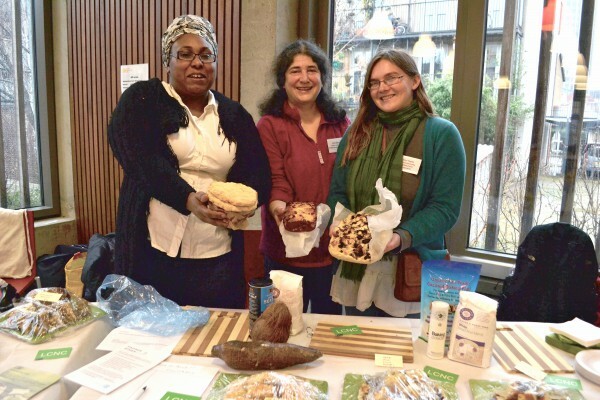 Granville Community Kitchen is empowering community through food. We are building an ethical, sustainable, local and culturally diverse food hub, offering food centred activities, services, education and training. We will be accessible, family friendly and open to all sourcing our food from local urban agriculture projects, micro food producers and other ethical food businesses. Contact: info@transitionheathrow.com or call 07890751568. 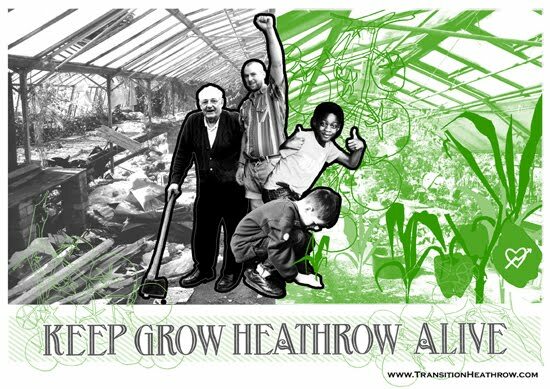 On March 1st 2010 Transition Heathrow members swooped on an abandoned market garden site in Sipson; one of the villages to be completely tarmaced to make way for a third runway at Heathrow. 30 tonnes of rubbish were cleared and over two years later the site has been transformed from a derelict mess into a beacon of community strength and a great example of how to live sustainably on this planet. The site is a hub for local residents and environmental activists to share knowledge and practical skills such as organic gardening, permaculture design, bicycle maintenance and wood and metal work. They also aim for a position of self-reliance, producing their own food, solar and wind power, using rain water to feed the plants as well as using rocket stoves and compost toilets. Address: Vineries Close, Sipson, West Drayton, UB7 0JH. 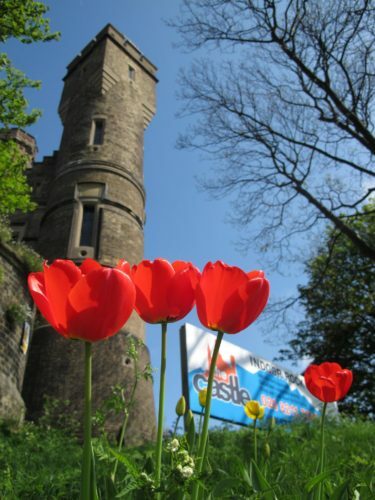 They are open every day and arrangements can be made for overnight stays. 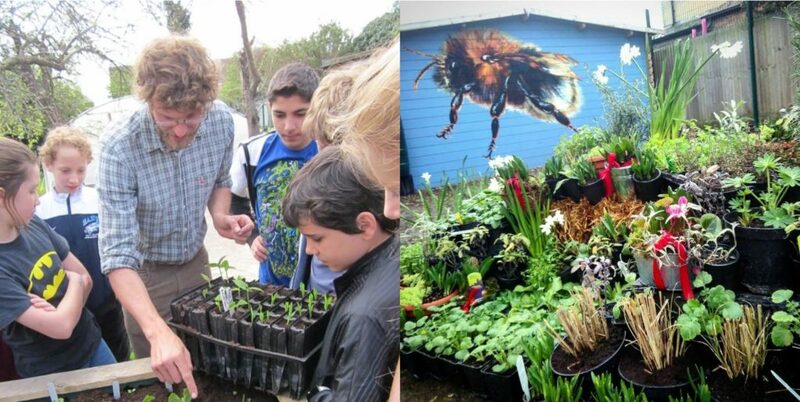 Growing Communities has pioneered urban food growing as a key part of efforts to build a more sustainable food system. 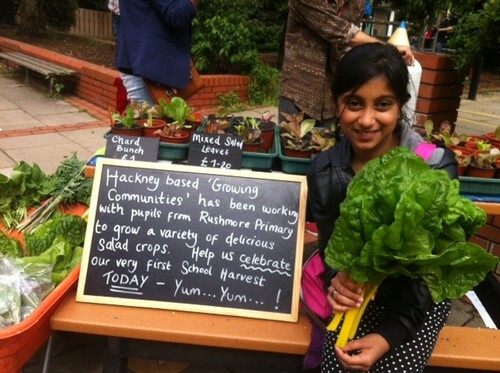 We grow Hackney Salad on our Patchwork Farm, made up of 12 small market gardens in Clissold Park, Springfield Park, Allens’ Gardens and other patches on estates, church land and private gardens – all in Hackney, North London. The Patchwork farms were started by people who have come through the Growing Communities Apprenticeship Scheme and grow food to sell to the weekly box scheme and other outlets. 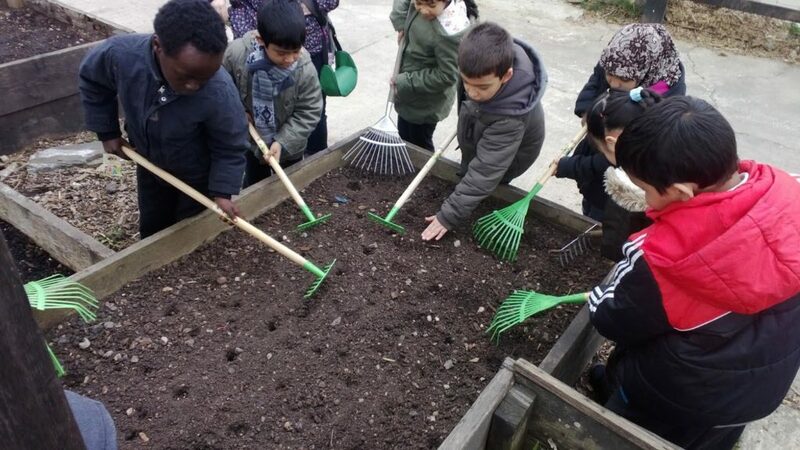 With help from the Big Lottery’s Local Food Fund, Growing Communities supports the sites through providing them with tools, equipment and advice. The aim is to increase locally and sustainably grown food and help growers generate an income from food production. We also have Dagenham Farm in East London. All our growing space is certified by the Soil Association – ours was the first organically certified food-growing land in London. In Hackney, we specialise in salad leaves and we are the only London fruit and veg bag scheme to include organic salad grown in Hackney in our vegetable bags. Living Under One Sun Community Allotment is and organic food growing site which offers a range of training and volunteering opportunities. 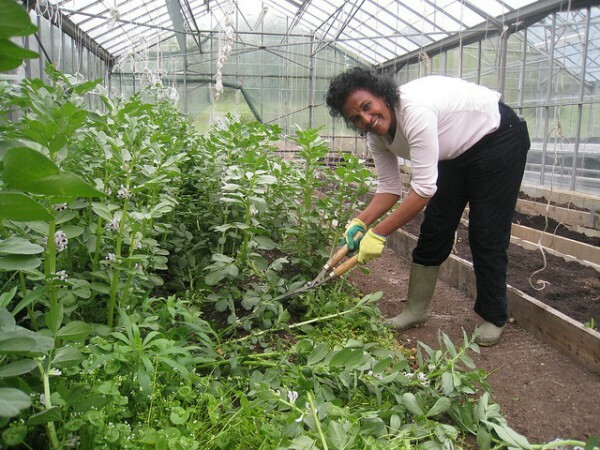 We teach Herbal Medicine, Bee Keeping and Practical Horticulture. Volunteering with us you can gain practical experience in managing crops organically form seed to harvest – including crop rotation and soil care, practical carpentry skills, recycling and sustainability strategies and the importance of the local food economy. We recognise the importance of connecting with nature in supporting individual and social well-being and are committed to bringing nature closer to the community. London Community Neighbourhood Co-operative is a model of living differently in London that aims to be socially, environmentally and financially sustainable. We are a collective of ordinary Londoners building a community on a solid foundation of community principles such as mutual responsibility, valuing understanding and respecting diversity. The project will create sustainable well being in the urban environment of London by improving lives through an innovative use of space and choosing to live as committed and caring neighbours to each other. 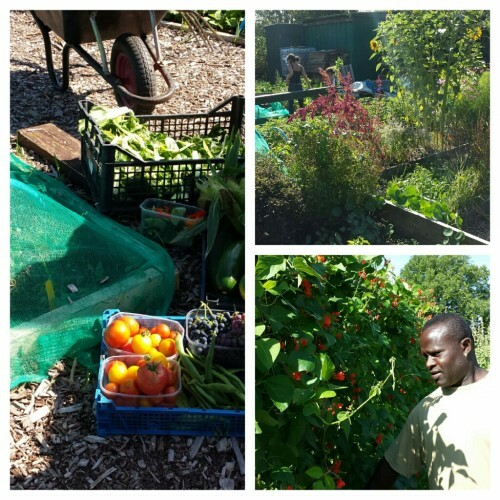 London Grown is a workers’ co-operative creating a community market garden, community space and education hub over two sites in Haringey and Enfield, North London. We want to promote local access to affordable, fresh and healthy food. Our first site, Pasteur Gardens, is seven acres of previously neglected land in N18. We’ve been battling the brambles there since April 2016. Our second site is Wolves Lane Horticultural and Garden Centre – four acres of glasshouses in N22. We’re working with a consortium of other groups at Wolves Lane, including Organiclea, Crop Drop, Dee Woods and Shared Assets. 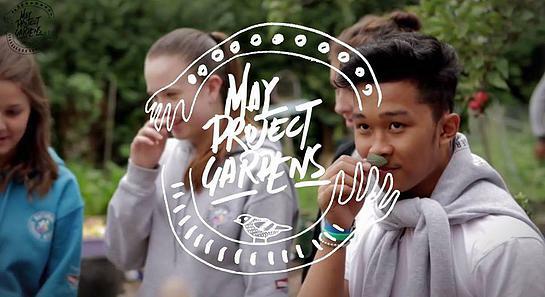 May Project Gardens works with urban communities, to address poverty, disempowerment and access to resources and influence. We provide practical, affordable and collective solutions for people to live sustainably and disengage with power structures that don’t serve their interests. Until recently it functioned on a fully voluntary basis, with no formal funding, but grew due to our our values. The site was designed using Permaculture principles, advocating working with nature not against her to fulfil our needs, and great emphasis is placed on reducing waste and increasing efficiency. It have a medium sized polytunnel, a small herb garden, two large main crop beds, a wildlife zone (which includes a pond and a wild flower bed), a small food forest garden and four different composting systems. Every Friday from 9.30am – 11.30am. There is always work to be done in the Greenhouse! Join Fabrice in the Greenhouse on Sundays from 12pm – 4pm. They give out free seedlings to community groups & are happy to support community groups and food growing projects in lots of different ways. 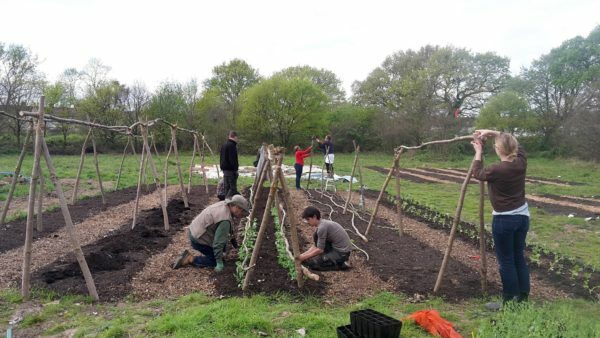 Organiclea began in 2001, with the idea that more food can and should be grown locally, and the agreement to take on an acre of once-derelict allotment land situated on the edge of Epping Forest in the river Lea’s valley. Organiclea currently runs a local box scheme as well as a market stall at the Hornbeam Centre, which provides a physical base for a local food scheme in Waltham Forest. They provide training opportunities for those with or without growing experiences and regular volunteering opportunities. Papa’s features organic growing spaces, a children’s playground and a café serving great food at affordable prices. People in the local area have come together to fight against the odds to keep this space available to the community, and great all-ages events make Papa’s park a great space for families. Papa’s Cafe is open five days a week, Wednesday through Sunday, 10am-5pm Wednesday – Saturday, and Noon-5pm on Sundays. It is located at 10-17 Pulross Road, SW9 8AF and has a hall available for hire. Stepney City Farm is a working community farm in London’s East End. With the help of lots of fantastic volunteers we grow fruit, veg, herbs, flowers and other interesting plants to organic and permaculture principles. Our soil is enriched by the manure produced by our farm animals, who in turn help us out by eating the weeds. We have a mixture of annuals, perennials and fruit areas, a forest garden, a children’s garden, community beds for local organisations and allotments for local people. You can eat our produce in the cafe, buy it in the farm shop, and eat it in some local restaurants. There are loads of great projects going on in addition to the horticulture – come and visit us Tuesday – Sunday 10-4pm. 4. To achieve economic stability, supporting land-based employment. 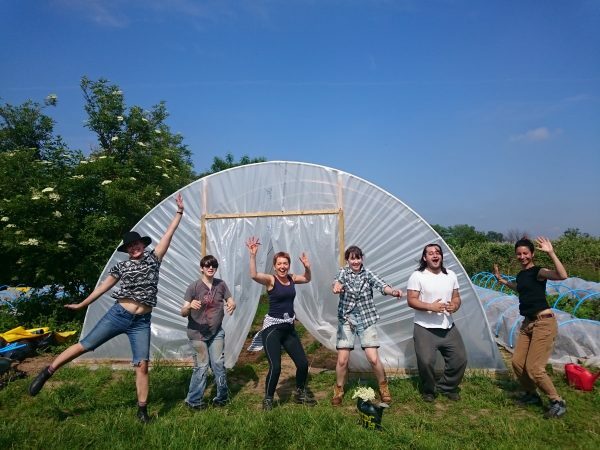 Started in 2010 in response to a community need with the purpose to increase access to fresh, healthy, sustainable food and provide a shared space for people to cultivate skills, get exercise and make new friends the farm sits on a beautiful 7.1 acre smallholding with views towards the skyline of central London.